As the Vice President of Institutional Giving and Women’s Philanthropy, Sarah builds impactful partnerships alongside organizations and individuals with shared goals. She is co-chair of Opportunity’s Women’s Empowerment Working Group that seeks to globally align Opportunity's program strategy and philanthropic interests with a gender lens improving outcomes for clients and engaging meaningfully with donors who are committed to serving women and girls. 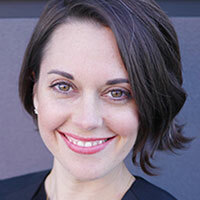 Prior to this role, Sarah was the National Fundraising Director of Opportunity International Australia, based in Sydney, where she sat on the leadership council, managed the national major gifts team and worked closely with donors in supporting Opportunity's Asian programs in India, Indonesia and the Philippines. Sarah has an extensive fundraising and relationship management background with 15 years in corporate partnerships, event management and private philanthropy for organizations such as the Make-A-Wish Foundation, TheatreWorks and Steppenwolf Theatre Company. She has an MBA from the University of San Francisco, B.S. in Political Science and B.A. in Theatre & Dance from Santa Clara University. She is also a yoga teacher and attends City Church. Born and raised in St. Louis, Sarah is now based in San Francisco with her husband and daughter. Opportunity International is a leading provider and pioneer of socially focused microfinance and community services that has used a business approach to help alleviate extreme poverty for 45 years. Rather than a handout, we provide entrepreneurs—95 percent women—living in poverty with a small loan empowering them, their families and communities.